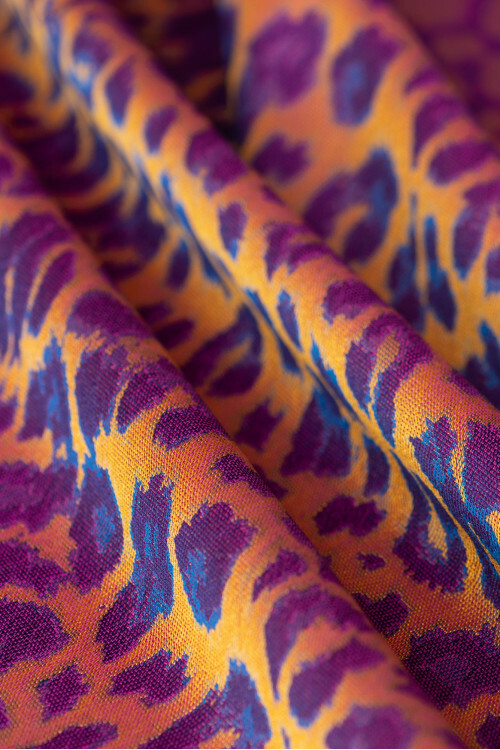 Embrace your wild side with our leopard-print Baby Wraps and Ring Slings. 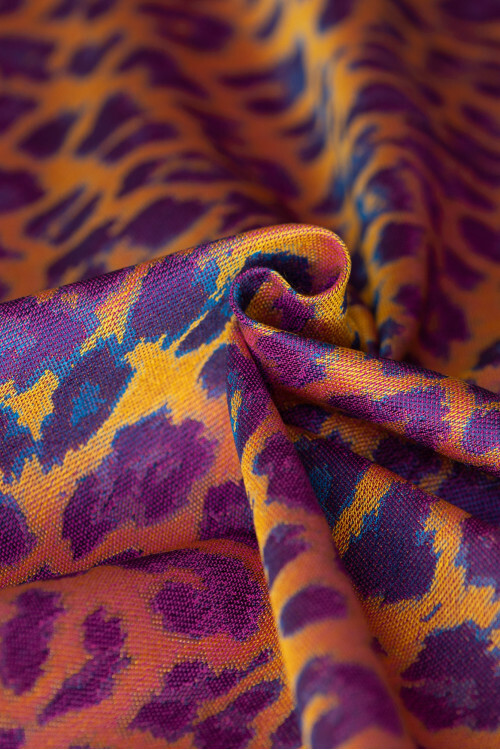 Leopard Lion is crafted from a light silk jacquard fabric that is small to fold away in your handbag but dense and strong, making this the ultimate thin but supportive wrap. Suitable from newborn till toddler. 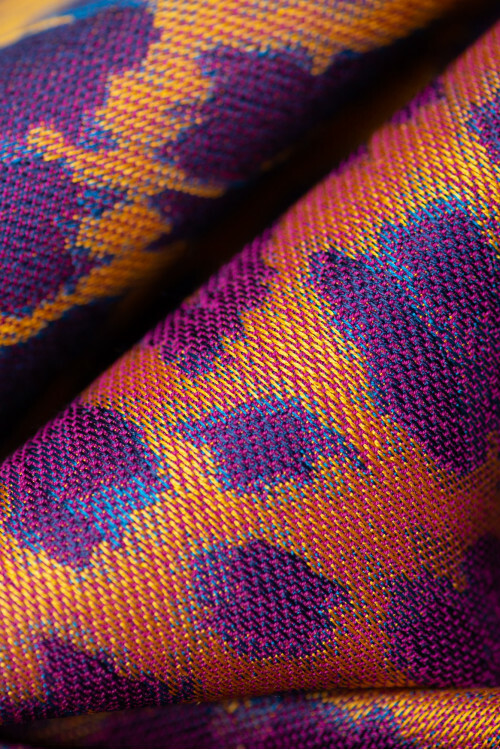 The three thin wefts make sure this wrap is flat and modest in use but cushy and strong in experience. 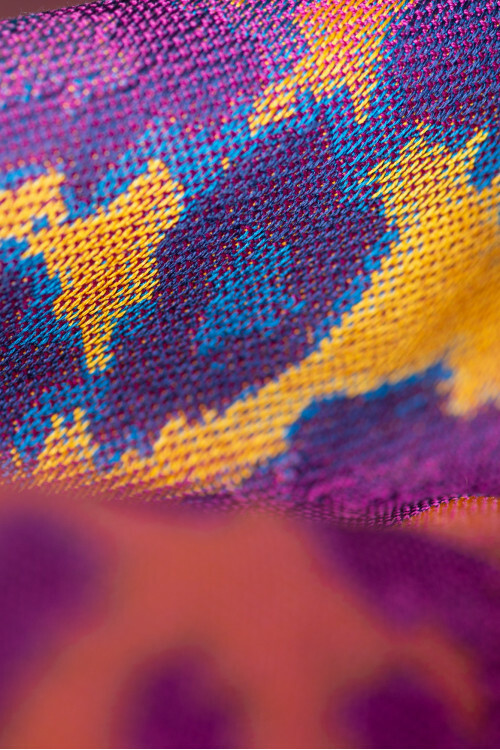 Easycare, machine washable silk. Motherhood has never been more stylish. Babywearing has never been more comfortable. Artipoppe Baby Wraps & Ring Slings deemed ''hip-healthy'' by the International Hip Dysplasia Institute. In case you are inexperienced, size 6 is the recommended size to start with. If your clothing size is 34(EU) or below, you might consider using a size 5 instead of size 6. In case your clothing size is ranging 48 and above, a size 7 is likely to be more appropriate. In general a size 6 is good for a wide variety of knots, including ‘Front Wrap Cross Carry’ as seen in our Tutorials and Instructions sections. Smaller wrap sizes are recommended in case you are experimenting other carries that need less wrap length. Ring Slings are one size fits all. Our Ring Slings measure around 1.90 meters from the top of the rings to the shorter taper. It is important to note that the wrap lengths are measured with soft tape in hand. (i.e. with some tension on the fabric). Comparing this to measuring the wrap flat at the table the difference can be up to 40 cm. Preferred size not available? We can notify you when restocked. We can notify you when this product becomes restocked.